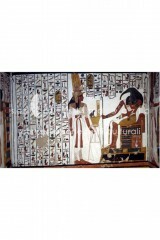 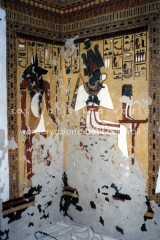 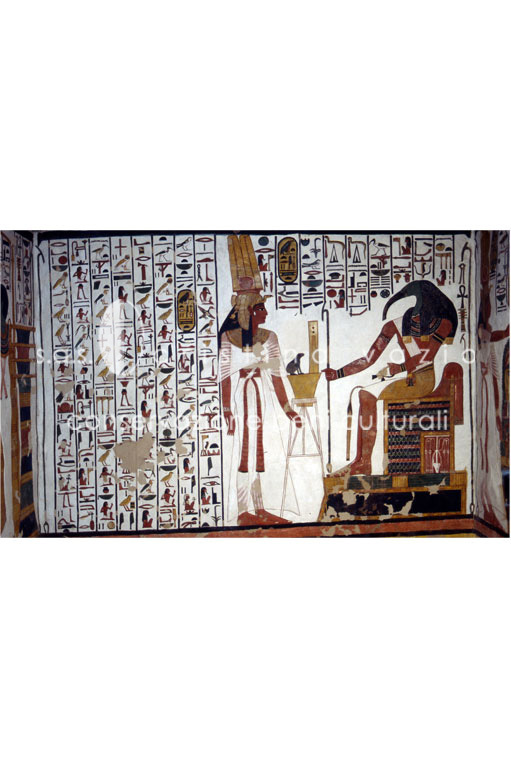 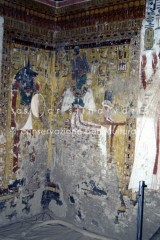 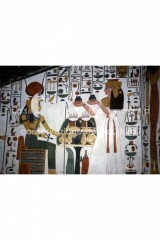 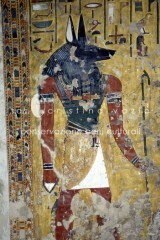 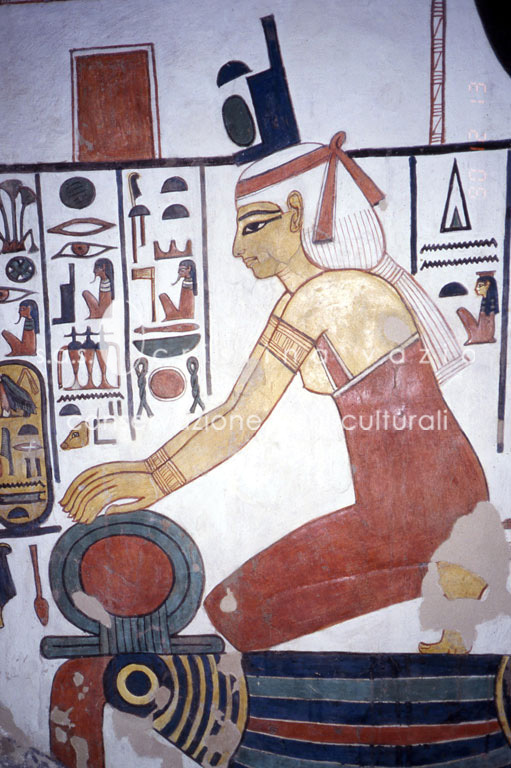 The tomb of Nefertari is located in the Valley of the Queens in Luxor, Egypt. Nefertari was the wife of Ramesses II, the great pharaoh of the XIX Dynasty, whose reign dates from about 1290 to 1224 B. C. The restoration project of the tomb was developed in 1987 by the Getty Conservation Institute and the Egyptian Antiquities Organization. 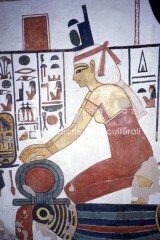 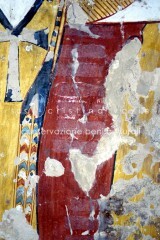 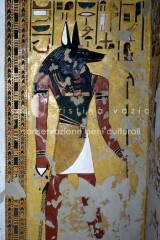 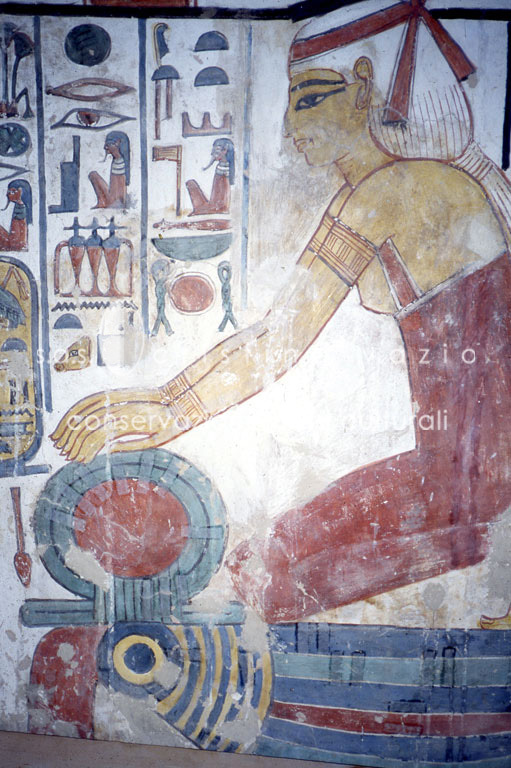 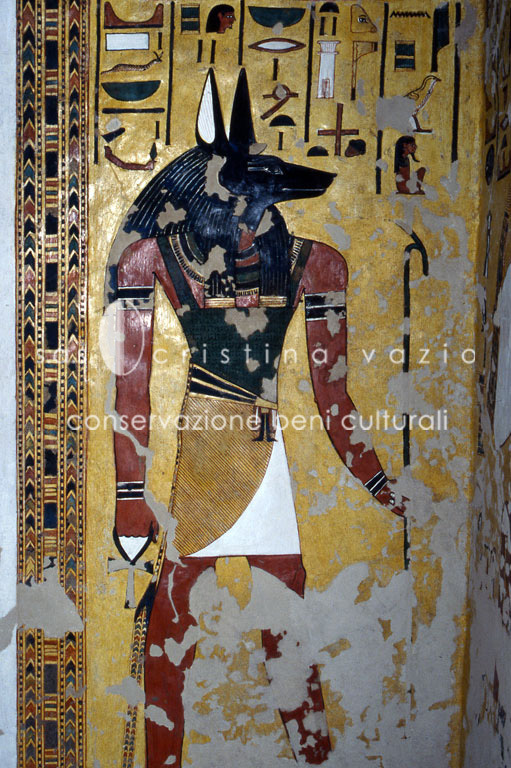 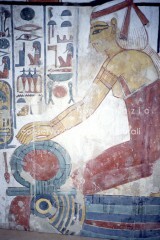 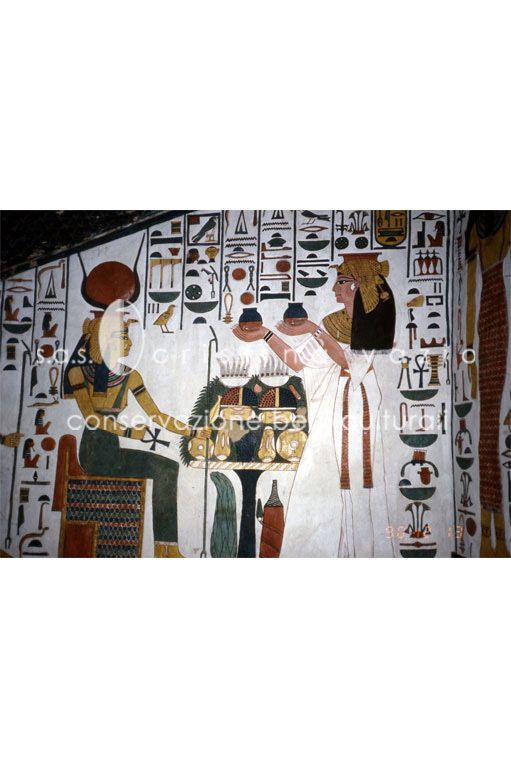 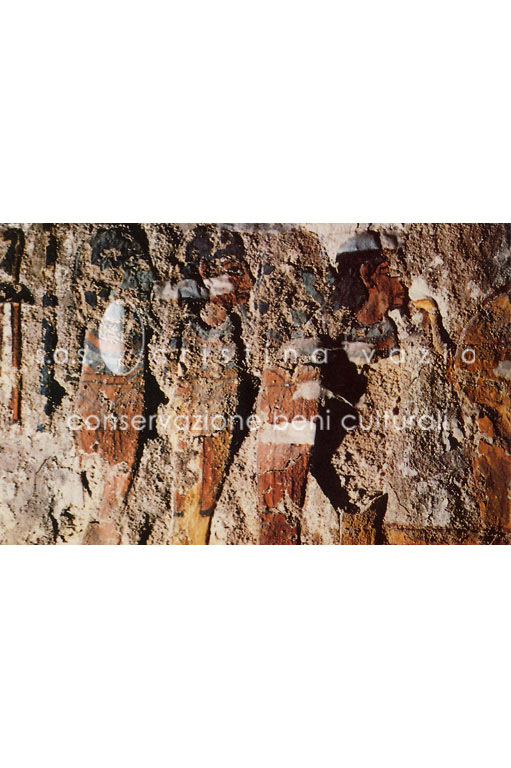 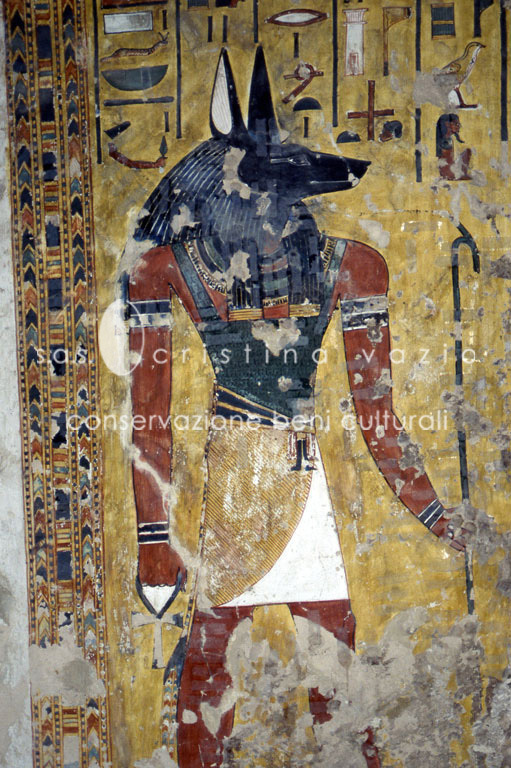 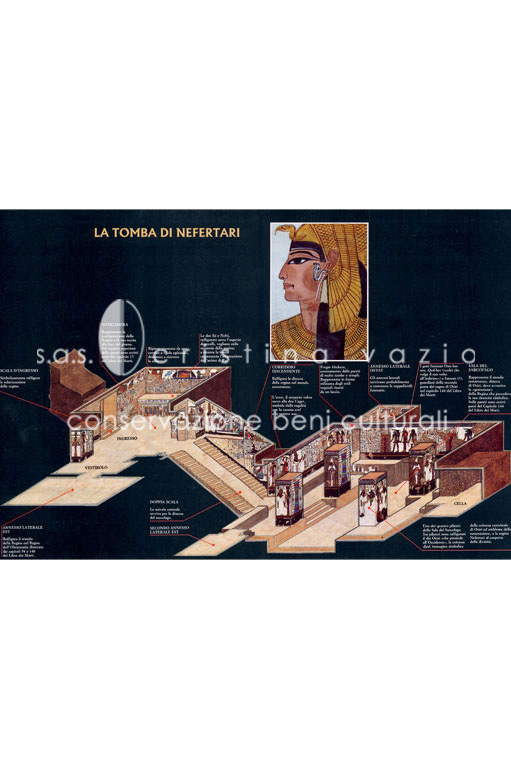 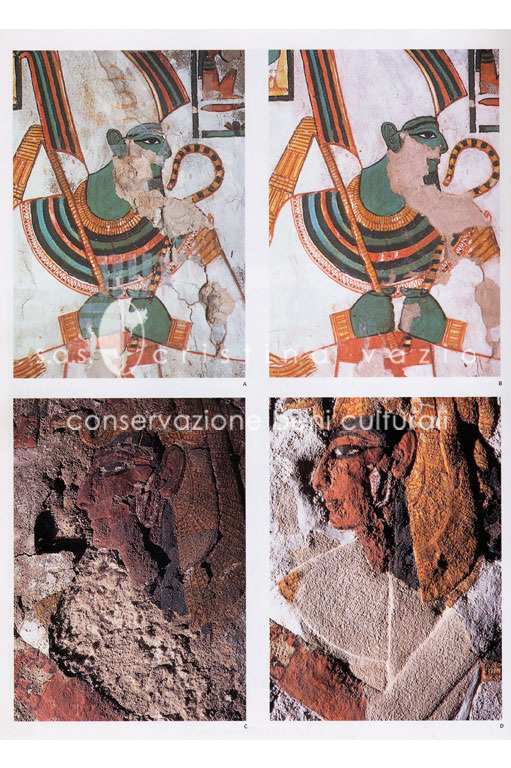 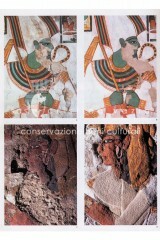 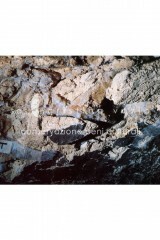 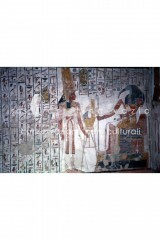 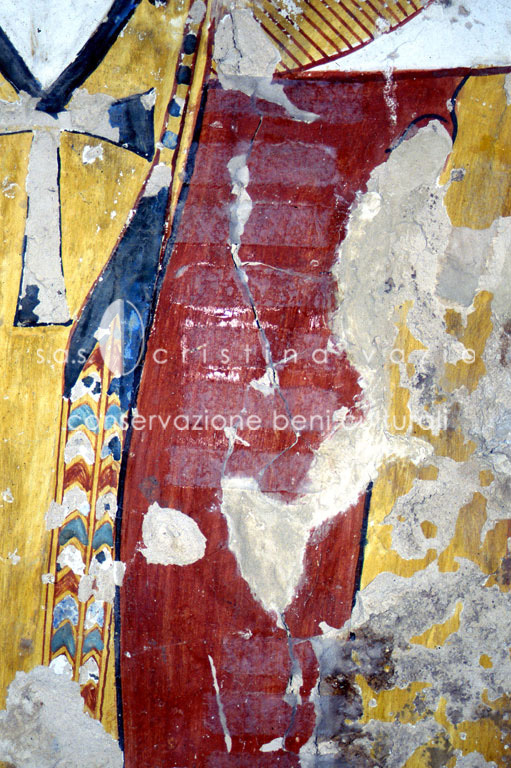 The project was assigned to Professors Laura and Paolo Mora, who organized a team of European and Egyptian conservators in order to realize the restoration of frescoes inside the tomb. 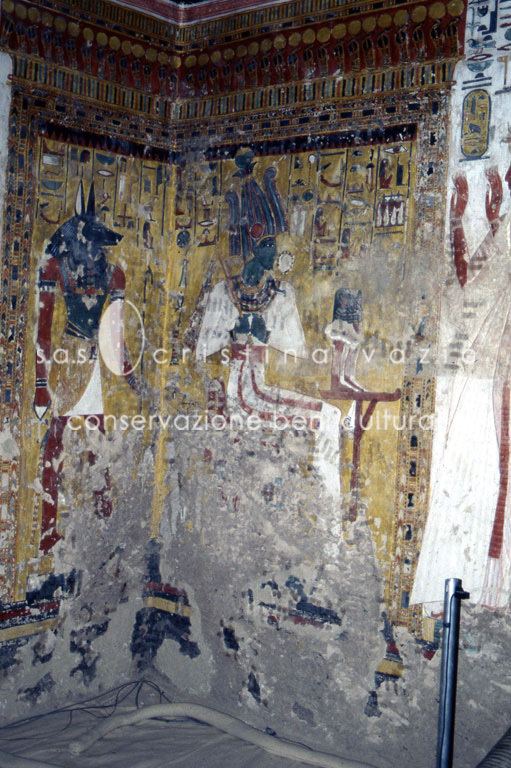 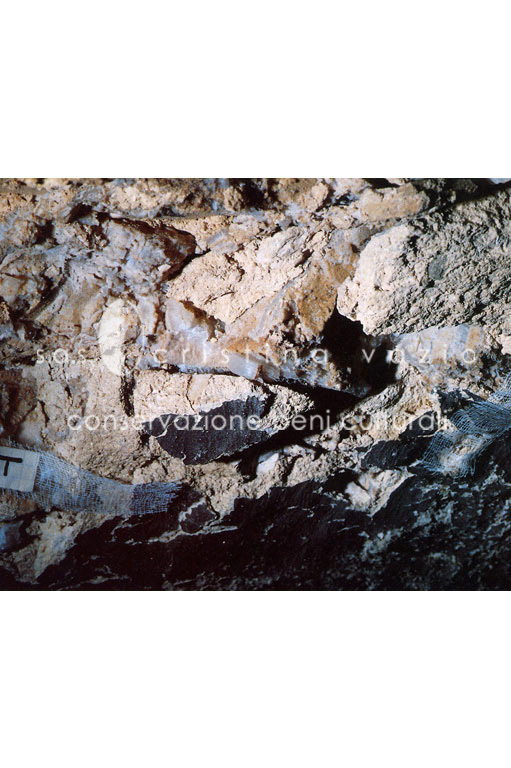 The issues with the conservation of the paintings related to the presence of salt in the rock which caused lifting and detachments of many portions of the painted surface. 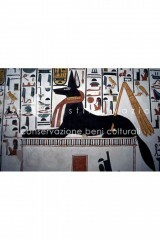 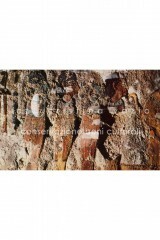 Restoration of damages and overall deterioration had already been attempted by the archaeologist, Schiapparelli, at the time of discovery in 1904 and later on, by Egyptian authorities.